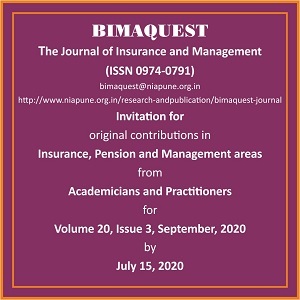 Books, journals, articles and reference materials in all areas of the insurance. Insurance reports, directories, loose-leaf services, lexicons, Insurance laws. NIA Library is an automated special library to serve Insurance Industry. This is one of the finest libraries in India having choicest collection in life and non life insurance. The main goal is to cater to all types of information needs of the users in respect of insurance and allied subjects. The reading room pops out with almost all national and international journals in Insurance, Actuarial Science and related areas as also journals for general awareness and entertainment. Stacking of the research publications is another value addition to the library. Monday to Friday 9.00 a.m. to 7.30 p.m.
Saturdays 9.00 am to 5.30 p.m. The membership is available to individuals associated with insurance industry. Insurance Companies, Govt, Organizations, Industries, Academic Institutions, Colleges, and Universities in Pune can also become Library member. Limited library access is provided to researchers from India and abroad.